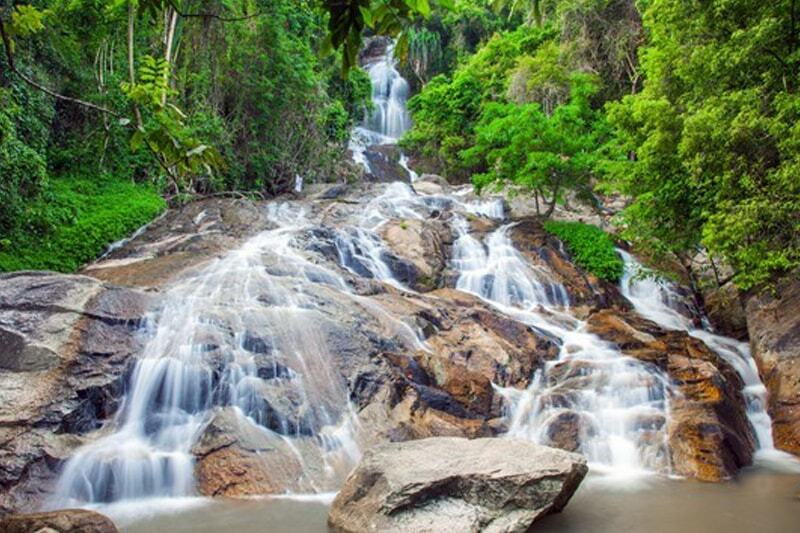 Na Muang Waterfalls Location: Na Muang Waterfall is off Route 4169 south of Koh Samui’s inland mountains between Nathon and Hua Thanon. Remarks: There is no entry charge to the Na Muang falls, so be aware that some local ‘guides’ try to ask for money for access or assistance but this is not necessary since the route is easy to travel on your own. 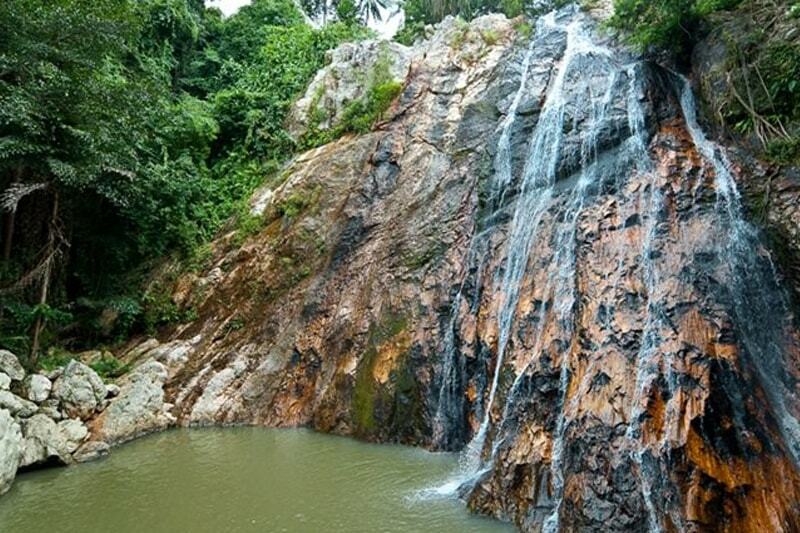 Bring swimming gear and be sure to wear quality sandals or walking shoes to enjoy the walking trails safely. The best time to go is in the wetter months of September through November when the waterfalls are in their full flowing glory. 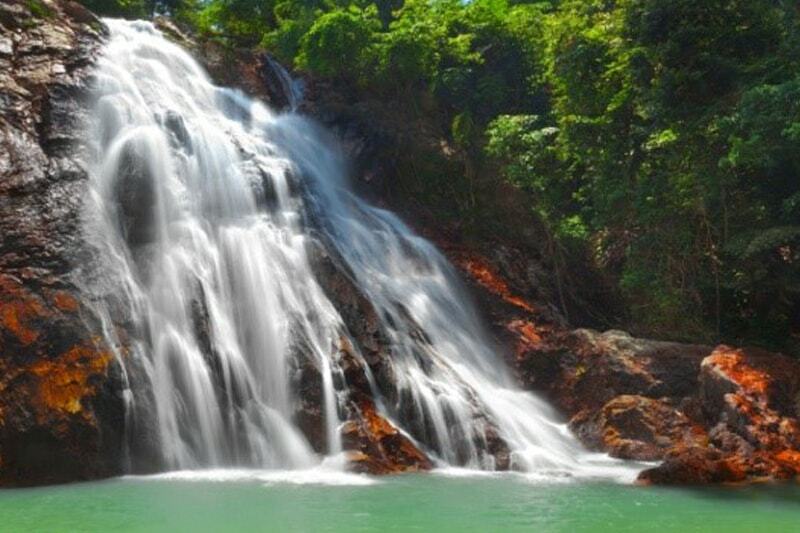 How to get there: From Nathon, drive along the main road for about 11 kilometres until reaching the signed entrance road to Na Muang falls. The park entrance is about one kilometre up this road. Na Muang 1 is reached by a 100-metre walk from the parking lot, while Na Muang 2 is a further 100 metres away along a more challenging path.